The "What's Trending in Nutrition" Survey, conducted by Pollock Communications and Today’s Dietitian, is an annual survey of Registered Dietitians that probes their opinions of consumer and professional behaviors as they relate to nutrition. This year, survey participants will be invited to attend a complimentary, continuing education webinar in which the survey trends will be analyzed and discussed in detail. In this webinar, Jenna Bell, PhD, RD, will discuss the results of the "What's Trending in Nutrition" Survey and examine what these results can tell RDs about their clients and peers. Not only will this webinar be a dynamic and thought-provoking event, it will also provide practical take-aways that RDs can use when interacting with patients and clients. This unique and exclusive event will be open only to survey participants. Please provide your responses to the "What's Trending in Nutrition" Survey by MIDNIGHT TOMORROW. An invitation to the webinar will be emailed to you during the week of December 4, 2017. If you responded to our first request, thank you. One response is all we need! List and understand 5 key influencers on patient and client food choices. Identify 5 trends that may impact the food choices and lifestyle behaviors of patients and clients. Understand 3 shifts in nutrition perceptions over the past 5 years and the applicability of these shifts to patient and client behaviors. Evaluate opportunities to apply current nutrition trends to public health and private nutrition settings. Jenna A. 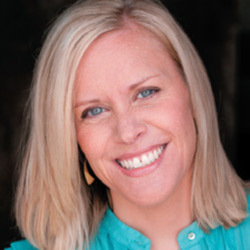 Bell, PhD, RD, serves as a senior vice president and director of food and wellness for Pollock Communications, through which she helps healthy brands translate science for consumers and connect with the nutrition experts. She also helps educate fitness professionals and athletes about eating for performance and proper recovery. She also is cofounder of Swim, Bike, Run, Eat! Sports Nutrition and has provided nutrition seminars with professional athletes at major athletic events, such as the Boston Marathon, the ING New York City Marathon, the Bank of America Chicago Marathon, and the Ford Ironman World Championship in Kona, Hawaii. Jenna is a member of the editorial advisory board for Today's Dietitian and the Past Chair of the Academy of Nutrition and Dietetics' Sports, Cardiovascular, and Wellness Dietetic Practice Group. Jenna is an international presenter, and her writing and expertise have been featured in Us Weekly, Self, Fitness magazine, Outside magazine, Runkeeper.com, AppForHealth.com, Men's Health, Runner's World, Pilates Style, IDEA Fitness Journal, IDEA Health and Fitness Source, and IDEA Personal Trainer, among other print publications and websites. She's been published in scientific journals and appeared on the Daily Buzz; ABC, NBC, and FOX affiliates; and local and national radio programs and podcasts. She also is coauthor of Energy to Burn: The Ultimate Food & Nutrition Guide to Fuel Your Active Lifestyle (John Wiley & Sons 2009) and Launching Your Dietetics Career (American Dietetic Association, 2011). She earned her doctorate with distinction in health and human performance, with an emphasis on exercise physiology, at the University of New Mexico; her master's degree with distinction in nutrition and her dietetic internship at the University of New Mexico; and her bachelor's in nutritional sciences from the University of New Hampshire. A two-time Ironman finisher and three-time marathon finisher, Jenna is most proud of becoming a mom in 2013 and again in 2014. Jenna A. Bell, PhD, RD, reports the following relevant disclosure: She is a Senior Vice President at Pollock Communications. Pollock Communications is a public relations firm serving the health and wellness sector, and represents some companies whose products are referenced in the Nutrition Trends Survey responses. She has certified that no conflict of interest exists for this course. View our disclosure policy.